As you will know if you follow my work, I am very Fanny-centric. 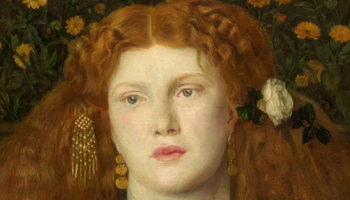 Imagine my delight, fair reader, when I discovered there was a play about Fanny Cornforth, using her to view the life and work of Dante Gabriel Rossetti and the circle of women that inspired his art and filled his love life. Not only that, the same actress, Julia Munrow, plays all the roles of Fanny, Elizabeth Siddal and Jane Morris. How could I resist? Q. When and where did you first experience the Pre-Raphaelites? I have been interested in art from a young age and I feel I have always been aware of the Pre-Raphaelites. I think it was originally Millais' Ophelia which made me take notice of the Pre-Raphaelites as I am also a Shakespeare fan. Once I had noticed the Brotherhood, I began to search out their paintings and became intrigued by their technique and obvious love of nature. I then discovered their personal lives was became fascinated with them all. I particularly like how they all inter-connect as a group. Q. What drew you to Rossetti? I wanted to write a one woman show for Julia who is an astoundingly good actress. I thought that a number of characters played by the same person would be different and intriguing. My thoughts then went to Rossetti who had a number of women in his life and his appalling treatment of Elizabeth Siddal. I could see a play that surrounded him, made him an awful/appealing off stage character and would give Julia enormous scope for her talent. Q. Similarly, what drew you to Fanny Cornforth? I chose to tell the story from Fanny's perspective because I have always liked her feisty character. I also believe she was devoted to him and he spoke about her at the end of his life. I find that very touching and heart breaking that she wasn't allowed to see him. Q. What do you want people to take away from your play in terms of the dynamic between the painter and his muses? I simply want people to enjoy the play and laugh and cry with Fanny. She has some very funny lines but the thrust of the play is very sad. 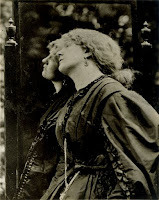 The play suggests that Rossetti was a charismatic man who needed women to be his muses but was incapable of being faithful. Such was his appeal that women loved him no matter how he treated them. Q. What do you make of any of the other plays/films/tv based on the Pre-Raphaelites and their love lives? Why do you think we find it so fascinating and focus so much on this aspect? I have seen was the recent t.v. series which I thought was great fun but historically inaccurate and I particularly objected to the portrayal of Edward Burne-Jones and William Morris. Rossetti was believable although far too good looking! I also saw the film Effie which I thought was very dull. A non-consummated marriage is a riveting subject but somehow the film never came to life. Each of the Pre-Raphaelites had a very interesting love-life. There were so many scandals in such a straight laced age. Complicated love lives are always far more interesting to write about than an ordinary marriage! Q. Before the play, what (if anything) did you know about Fanny? Before the play, I knew nothing about Fanny. I knew about Lizzie Siddal and had seen some of the TV series - but wasn't aware of Fanny's existence. Q. What's it like playing all three muses? It is a fantastic opportunity for an actress to stretch herself but by playing three totally different characters, particularly having to transform yourself in an instant from one to another without the help of costume or lighting changes. It is very physically and emotionally demanding. It is a gift for any actress. Q. How did you prepare for the part? Joan made me aware of many of the historical aspects of the three characters and to be honest it is all there in the play so it was a matter of emotionally connecting with the parts that were written. Q. If you could go back and give Fanny one piece of advice, what would it be? I think Fanny could give me some advice because she manages the balance between heart and head. 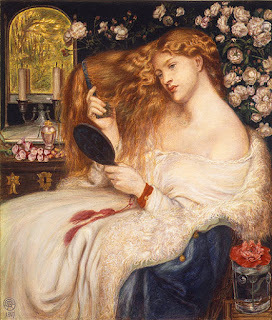 Although she clearly loved Rossetti she didn't allow disappointments in love to overwhelm her. She also seemed to have a very sound financial sense and made sure she provided for herself in old age. I also love the way she throws herself into life. Q. What's your favourite Fanny picture? My favourite painting of Fanny is Lady Lilith. Thanks to Joan and Julia for giving me their time and my very best wishes for the play. For more details on Joan's work look on her website here. Rossetti's Women opens 6 August at Venue 278 in Edinburgh, and for tickets call 0131 220 5911. I look forward to hearing further venues and will of course let you know as I'd certainly love to see Julia bring my heroine to life!